Your breastmilk is the best possible food to help your baby grow and develop, combined with antibodies, live cells, and other substances to protect him from infection. It’s worth the effort to provide expressed milk for your baby when you can’t be there to nurse him. Although some of the nutrients and anti-infective properties change with storage, expressed milk is still much better nutritionally for your baby than infant formula. This page gives guidelines on storing your milk. How much milk will I need? Breastmilk’s antibacterial properties help it stay fresh. The live cells and antibodies that discourage the growth of bacteria in your baby’s intestines also guard against bacterial growth when your milk is stored in a container. The guidelines that follow apply to milk that will be given to full-term healthy babies. If your baby is premature or sick, hospital staff can give you information on stricter storage guidelines, to ensure your baby gets as much benefit from your milk as possible. Hard-sided containers, either glass or plastic, do the best job of protecting your breastmilk. Avoid containers made with the controversial chemical bisphenol A, identified with a number 3 or 7 in the recycling symbols. A safer alternative is polypropylene, which is soft and semi-cloudy and marked with a 5 or letters PP. Remember to date the containers—it can help to put a use-by date too. Add your baby’s name if he will receive the milk at a childminder’s or nursery. Store milk in 60 to 120ml (2 to 4 oz) quantities to avoid waste, at least until you know how much milk your baby takes at a feed. Small quantities thaw quickly and can be combined if needed. You can also store smaller quantities of 30ml for when your baby is extra hungry, or wants to be fed just before you’re due back. It’s perfectly normal for expressed milk to look thin, bluish, yellowish or even brownish in colour and for it to separate into a milk layer and a cream layer when stored. Microwaves do not heat liquids evenly, so there may be hot spots in the container of milk, and this can be dangerous for babies. Defrosting frozen breastmilk Your milk can be defrosted in the fridge, avoiding unnecessary heating. Use within 24 hours. Immerse the container in a bowl of warm water. Take the milk out and reheat the water if necessary. Do not stand in a pan of water heating on the hob. Refrigerated Milk: Warm for a few minutes under a tap or in a container of water. Test for temperature on the inside of your wrist. Avoid contamination: Dry the containers before opening, with paper kitchen towels or a clean tea towel. Breastmilk separates naturally: Gently swirl the container to remix. Breastmilk is remarkably resilient – it stores well due to its antibacterial properties. Milk stored in the fridge will have more goodness than frozen milk. Some of the anti-infective properties are lost when milk is frozen—but it still helps protect babies from disease and allergies and is far superior to any formula. Although you probably won’t plan to keep your milk in the fridge for seven or eight days it’s good to know you can use safely any you find hidden at the back of the fridge. When your baby gets your milk within a few days of being refrigerated, it’s also reassuring to know it is well within its usable limits. It’s best to throw away leftover frozen or heated milk, which will have lost some of its antibacterial properties. It isn’t known how safe it is to keep fresh breastmilk left in the bottle after a feed. It should certainly be used within 1–2 hours. Avoid wasting precious milk by offering small amounts at a feed. Expressed breastmilk can be kept in a common fridge at work or at the childcare centre. Label clearly. If a fridge isn’t available, place it in an insulated container with deep frozen ice packs. With enough icepacks, milk will stay at fridge temperatures for up to 24 hours. Icepacks are also useful when carrying milk home from work or to childcare, especially on warm days. But breastmilk can be safely refrigerated or frozen after short periods of storage at higher temperatures. If you plan to store large amounts you could try freezing a small batch for a week before defrosting and tasting it. Some mothers notice their milk smells slightly soapy once defrosted, due to high levels of lipase, the enzyme that breaks down fat. The milk is still safe to use but some babies refuse to drink it. Heating milk to a scald (bubbles around the edges, not boiling) then quickly cooling it before freezing can deactivate the lipase. Freezing deactivates yeast but doesn’t kill it, but there is no current evidence that milk frozen when you and your baby have thrush will reinfect you later. Laboratory studies have shown that breastmilk becomes less resistant to bacteria with time, but most of the bacteria found in breastmilk are harmless skin bacteria and not illness-causing ones. If any family members are ill, especially with sickness and diarrhoea, your baby will be better off with fresh milk rather than frozen. The most recent milk from your stores will offer him the best protection from the illness. You may prefer not to freeze your milk until everyone is better. This information can help you decide how to store your milk to meet your needs. LLL meetings are a good source of support, whatever your reasons for expressing your milk. Or contact your local LLL Leader for one-to-one support. ABM Clinical Protocol #8: Human Milk Storage Information for Home Use for Full-Term Infants. Hamosh, M et al. Breastfeeding and the working mother: effect of time and temperature of short-term storage on proteolysis, lipolysis, and bacterial growth in milk. Pediatrics 1996; 97:492–98. Hands, A. 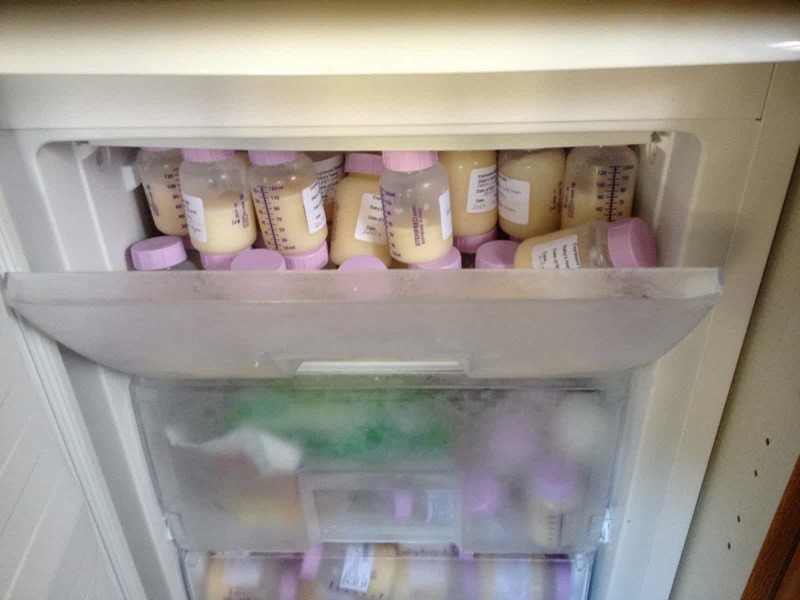 Safe storage of expressed breast milk in the home. MIDIRS Midwifery Digest 2003; 13(3): 378–85. Hanna N, et al. Effect of storage on breast milk antioxidant activity. Arch Dis Child Fetal Neonatal Ed 2004; 89: 518–520. Israel-Ballard K, et al. 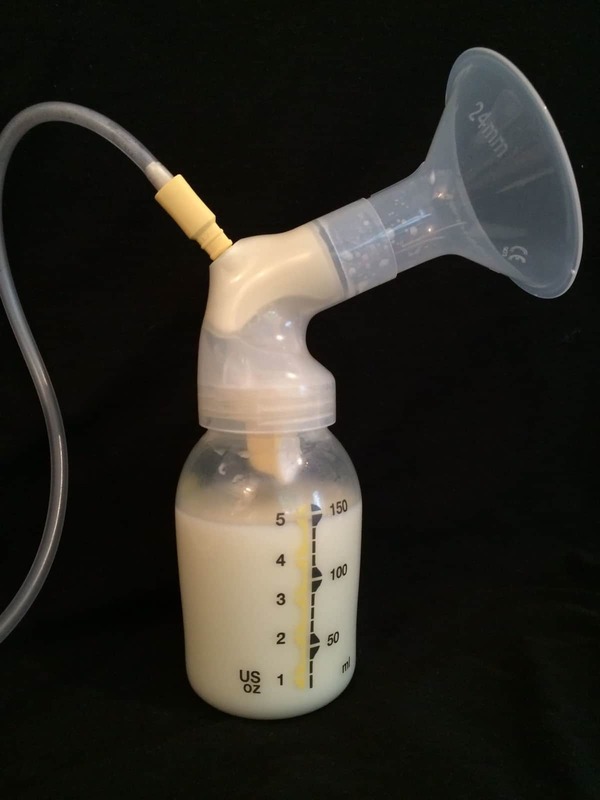 Bacterial safety of flash-heated and unheated expressed breastmilk during storage. J Trop Pediatr 2006; 52: 399–405. Igumbor, EO et al. Storage of breast milk: Effect of temperature and storage duration on microbial growth. Cent Afr J Med 2000; 46: 247–98. Martinez-costa, C et al. Effects of refrigeration on the bactericidal activity of human milk: A preliminary study. J Pediatr Gastroenterol Nutr 2007; 45: 275–77. Ogundele MO. Techniques for the storage of human breast milk: Implications for anti-microbial functions and safety of stored milk. Eur J Pediatr 2000; 159(11); 793–797. Ogundele, MO. Effects of storage on the physicochemical and antibacterial properties of human milk. Br J Biomed Sci 2002; 59: 205–11. Pardou A, et al. Human milk banking: Influence of storage processes and of bacterial contamination on some milk constituents. Biol Neonate 1994; 65: 302–309. Pittard, WB et al. Bacteriostatic qualities of human milk. J Pediatr 1985; 107: 240–243. Rechtman DJ, et al. Effect of environmental conditions on unpasteurized donor human milk.Breastfeed Med 2006: 1(1); 24–6. Silvestre, D et al. Bactericidal activity of human milk: Stability during storage. Br J Biomed Sci 2006; 63: 59–62.